I've been thinking a lot lately as well as reflecting on work. While digging through the archives I found these old photos of three heros of mine: Holger Thoss, Philippe Cheng, and John Dolan. 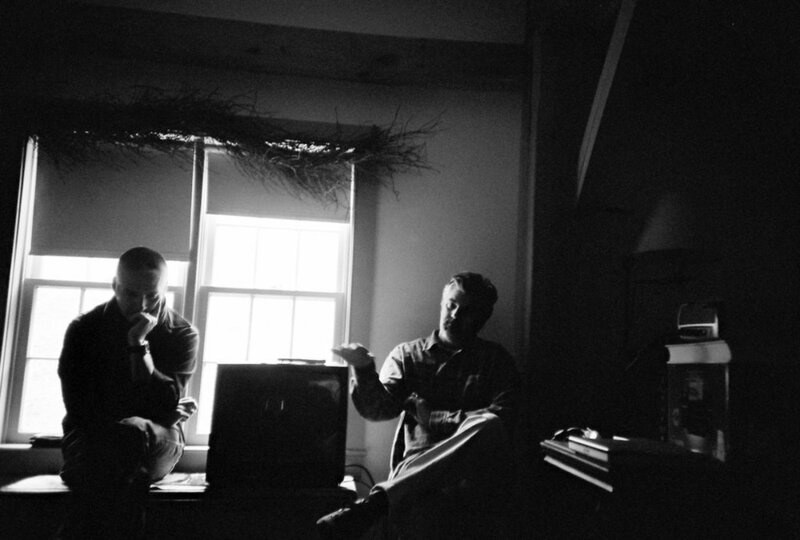 These are some snap shots from spending time in the Berkshires with them and a small group of other photographers (as well as incomparable Anne Watkins) during which I had a bit of sea change in part of my mind regarding how I made certain photographs. At that point I'd been shooting professionally for maybe 4 or 5 years and had come to resent some of the clients I kept getting and these guys totally flipped my perspective from being negative to totally liberated. Suffice it to say, it's a fond time to remember. If you don't know their work I encourage you to investigate. They're very different people and photographers and all had their own impacts on my brain. Salut, gents. Holger & John during a discussion. Four creative forces crammed into one shot.